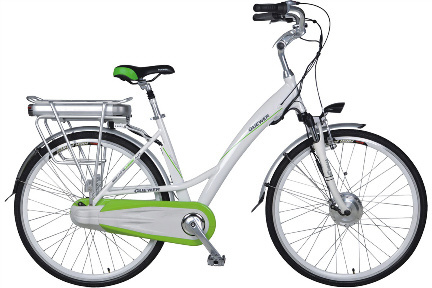 Without Battery - € 1170.00 inc VAT The battery can be rented. More info on the page "Immortal Battery". We provide a guarantee of 24 months for the sold E-bikes, and we provide full warranty and even customer service. In addition, within the framework of our services for customers we provide a free warranty inspection. Warranty repairs are dealt with within 24 hours and, if possible, immediately after delivering the electric bike to our shop. All spare parts for electric bikes models we sell are available in stock. IMPORTANT: If a potential customer decides to buy an electric bike within 14 days from renting in the rental service, THE RENT paid (max. Value of € 100.00) will be deducted from the purchase price. We offer filling of your bike tyres with Slime tube and tyre sealant. For more information, see the page "SLIME". Copyright © Cyprus E-bike 2016. All Rights Reserved.